Last week on Mayans MC, we were reintroduced into Kurt Sutter’s world of biker gangs, this time on the Latin side. 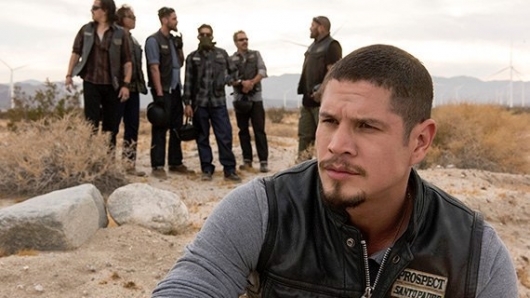 The Mayans MC were featured in the Sons of Anarchy pilot, and in return, the Sons (with a new leader) had a cameo in this pilot. Young Ezekial (EZ) Reyes (JD Pardo) is a prospect with a brother in the club, a butcher father (not of humans) who is sucked in somehow, a son and an ex who are now the family of a cartel leader, and a detective to whom he slips info to. This kid is in all kinds of trouble. And not because he’s in an MC, where everyone shoots up rivals or that they sell drugs through a dress shop front. Excited yet? Warning! Spoilers for episode 2 below. It’s been almost 4 years since Kurt Sutter rode out of our lives with the perfect ending to his incredible Sons of Anarchy series. He now returns with a literal bang to the gritty world he knows best. Mayans MC shifts to another gang we know… the Mayans, who were featured in the very first Sons episode. 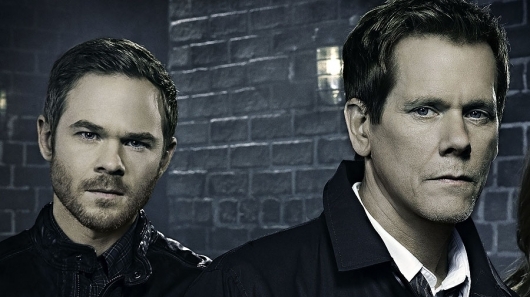 Try not to fall too in love with any villains on this season of The Following. After Arthur Strauss (Gregg Henry) appeared to arise the new Bid Bad, he was unceremoniously killed off by his “best student” Theo (Michael Eale). Now with Mark Gray (Sam Underwood) on the run, and Daisy (Ruth Kearney) disappeared, we are left with Strauss’s two remaining proteges, Theo and Duncan (Tim Guinee). Of course we still have Joe Carroll (James Purefoy) awaiting the death penalty. Hopefully there’s an escape in our future. 5 words. “What took you so long?” I know Joe, trust me I feel your pain. 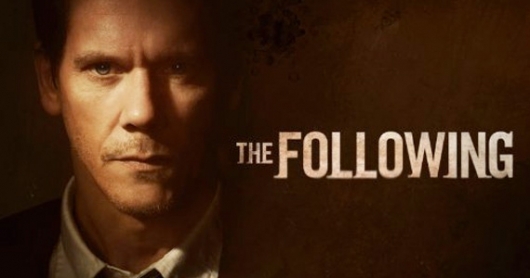 While no one can say this season of The Following has been boring, it has lacked a certain something thus far. A show never short on evil doers, Season 3 has lacked the “Big Bad.” Mark Gray (Sam Underwood) is totally bonkers having amassed the personality of his dead twin, and Arthur Strauss (Gregg Henry) is a tad blah as the show’s new villainous puppeteer. 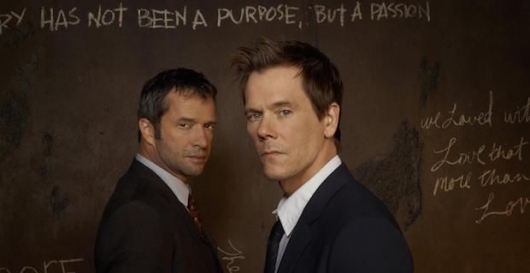 Thankfully, all the pressure has gotten to Ryan Hardy (Kevin Bacon) and he’s returned to seek advice from the man he said he’d never see again… Joe Carroll (the awesome James Purefoy). Their talk comes with conditions: Ryan needs something to catch Strauss. Joe wants what he always wants: More Ryan Hardy. “Tell me something Ryan; in your dreams, am I in them?” Oh, I’m so happy he’s back! 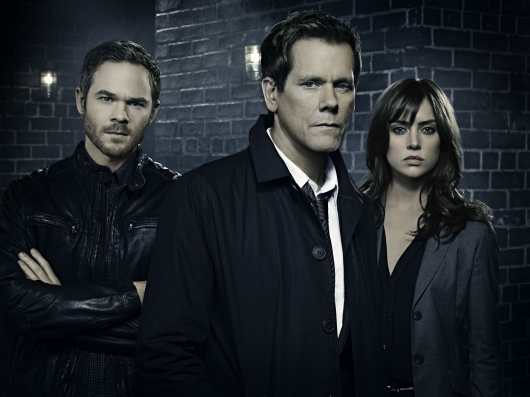 A two-hour dose of the weekly insanity, The Following starts with Kyle (Hunter Parrish) and Daisy (Ruth Kearney) “accidentally” shoving an innocent guy into moving traffic. Last week we learned of some kind of higher evil than Mark. Mark (Sam Underwood) is left a shell of himself as his plans to foil Ryan Hardy and the agents who killed his family keep blowing up in his face. He’s gone from diabolical maniac to sad-faced tag-a-long in just four episodes. It’s a tribute to Underwood’s acting prowess that Mark remains this compelling. When we last left Ryan Hardy and his world of insanity, Mark Gray (Sam Underwood) and his torturous henchmen forced Agent Jeffrey Clarke (Felix Solis) to broadcast their message to the world of Hardy and friends’ guilt in Lily Gray’s “murder.” Clarke was then brutally killed and left in a gift box for Hardy, Max (Jessica Stroup) and Mike (Shawn Ashmore) to find. Hardy (Kevin Bacon) awakes to bloody nightmares and must face the realizations that the media will be coming for him and his job is on the line. He uses the opportunity to set the media after Mark, a challenge which tests Mark’s last nerve. Director F. Gary Gray sent posted a link today via his personal Twitter account to a video of an explosion just shot for some added special effects sequences in his upcoming film Law Abiding Citizen. Watch the video, as well as the film’s trailer, here below. 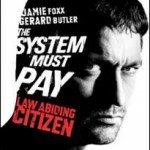 Law Abiding Citizen, scheduled to his theaters on October 16, 2009, stars Gerard Butler as a family man whose wife and daughter are murdered in a home invasion. After the killers are caught, a young hotshot prosecutor (Jamie Foxx) is put in a difficult situation after he’s assigned to their case. The R-rated film also stars Bruce McGill, Colm Meaney, Leslie Bibb, Michael Irby, Regina Hall, and Viola Davis.